Believe it or not, here in Australia household debt levels are at an all time high. Recent research by Barclays bank, using data obtained from the Australian Bureau of Statistics and the Reserve Bank of Australia, puts average household debt at 130 per cent of GDP. To help you benchmark this, the current global average sits at around 78 per cent. Unlike most countries that were hard hit by the GFC, who proceeded to pay down their debts and de-leverage post 2008, Australia did just the opposite. Since 2008 we’ve increased our household debt by 16 per cent, as evidenced by the graph below. Barclays aren’t alone in voicing their concerns about this rising level of debt. ‘Debt and (not much) Deleveraging’, a report released earlier this year by McKinsey, has also drawn attention to the dangerous levels of household debt in Australia. The report concluded that the Lucky Country was one of seven countries it considered to, “have household debt that may be unsustainable”. The McKinsey report places Australia’s household debt servicing ratio at 26 per cent of household income – second only behind Malaysia at 44 per cent and a near tie with Spain at 25 per cent. Bear in mind 30 per cent is the point at which most financial advisors consider debt levels to be unacceptable. So as if being mentioned in the same sentence as the financially distressed Spain wasn’t bad enough for Australia, it seems fairly evident that the country is edging closer to the precipice of financial instability. Local collections agencies are reportedly already preparing themselves for increased rates of arrears in 2015. And while we can look to a number of market factors as being influential in giving rise to our current financial predicament/confidence (low interest rates, mining boom), the bigger question that strikes me when I look at these numbers, is around just what is influencing our personal attitudes toward taking on increased debt and risk? And what role do our local banks play in feeding our seemingly insatiable appetite for increased credit? Could it be that we just don’t believe we can ever lose? This brings me to a much debated topic in the field of banking, especially post 2008 – the concept of moral hazard. Moral hazard traditionally refers to the change in a person or companies behaviour when the individual or entity does not bear the standard consequences for the outcome of a course of action. A typical use case for moral hazard is the insurance sector, whereby an insured party may be incentivised to engage in riskier behaviour than they would if otherwise insured. Examples include driving more recklessly in the case of car insurance, or leaving the house unlocked in the case of home insurance. Both instances are classic cases of moral hazard, where the insured party knows that should anything go wrong, the insurer will be forced to step in and cover the cost of any loss of goods/income, minimising the individual’s out-of-pocket loss. Banks have long been targets of moral hazard debates. Even more so since the introduction of the often quoted ‘too big to fail’ theory and the implicit or explicit guarantee that governments will step in to ‘save’ banks in times of severe financial distress. Many analysts and commentators argue that this causes banks to engage in far riskier behaviour than they otherwise would. But do these sorts of state guarantees cause consumers to also engage in moral hazard too? An interesting case study is that of South Korea, who saw skyrocketing household debt levels post the Asian financial crisis in 1997. With bank lending curbed, the personal credit market was quickly exploited by non-bank lenders. Faced with close to $1000 trillion dollars in national household debt, in 2013 the government stepped in and created The National Happiness Fund. The fund’s purpose was to wipe a considerable portion of the debts of low income earners, in an effort to get them on the road to debt recovery. This idea of ‘forgiving’ debts is a break with a dominant worldwide strategy that tends to favour creditors over debtors. However the concept is not a new one, and in fact dates back to Biblical times. Commonly referred to as a Debt Jubilee, every 50 years old testament debtors were forgiven and had their ledgers wiped clean. Yet for South Korea, and in fact any country that were to engage in such a measure, the potential side effects of a ‘debt jubilee’ are clearly debtor moral hazard. Why bother continuing to pay back your loan if the government has pledged to do it for you? And does the periodical wiping of debts really tackle the problem of why debts arose in the first place? Hardly. For that we have to go to the core of how our financial systems are designed and how we as consumers and businesses interact with them. We have to redetermine the very purpose for their existence, not to mention the standards to which we hold the people who work within them. Banking as it stands today has significant challenges. Many of these challenges are centred on its moral compass and the degree of its obligations to the citizens it serves. Like healthcare, food, the environment, and our ability to access legal services, financial systems are essential for survival. In most of these areas, once we identify risks we proceed to manage and reduce our exposure to these risks. This could be through eradication of diseases like Polio via vaccinations or improved human rights through amendments to our common and statutory laws. Yet when it comes to banking, while we readily acknowledge the dangers and risks associated with high household debt levels and low bank equity to debt ratios we continue to allow our banking system to remain or become even riskier. The genesis for this post came from a number of discussions I hear about fintech companies ‘making banking better’. I think we need to regularly challenge exactly what we mean by that statement. For some fintech companies, making ‘banking better’ will mean nothing more than tinkering around the edges of what banking is today. That is improving the ease of access to money, providing cheaper loans and enabling faster payments. By no means are these bad outcomes, they are just not game changing ones. 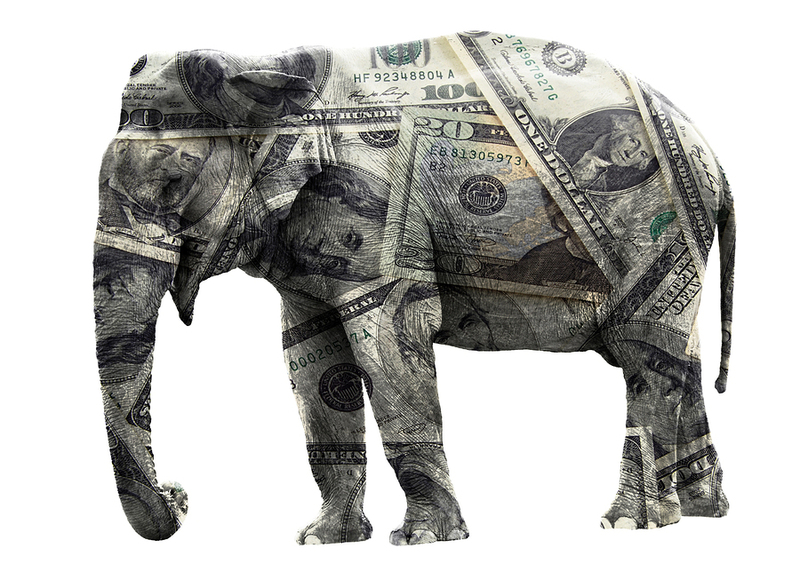 The real elephant in the room is whether or not a fintech company can emerge that solves both banks and consumers unhealthy relationship with debt and risk. And while it’s easy to lay the blame at the feet of ‘greedy’ bankers feeding us credit, as consumers we more than willingly open our proverbial mouths. Can we realistically continue in this way here in Australia? No. The crunch will come and no doubt it be unpleasant. Will the problem resurface again in another 10-15 years? Probably, if we continue as we are. Does this mean we need to re-engineer what the purpose of financial systems are in today’s world? Absolutely. While there is no hard and fast solution as yet, some parties have called for something similar to a Hippocratic oath for the banking sector. I think there is merit to this idea – it is certainly worth us at least exploring how other industry sectors are able to temper moral hazard in this way. Ultimately something tells me it won’t be the banks we know today that will be driving this re-orientation of purpose for our financial systems. Just like the music industry didn’t change the way we listen to artists, and the taxi industry isn’t redefining the way we catch cabs. Instead it will be the one or two fintech companies that are brave enough to take on the challenge of breaking our bad financial habits. One of technologies great cornerstones is transparency. And this quality is critical for consumers and banks alike in understanding and mitigating debt and risk. So if you are starting out on your fintech journey, please don’t be afraid to mine deeper into how you’re really going to ‘make banking better’. One imagines that this is where the gold will be found.